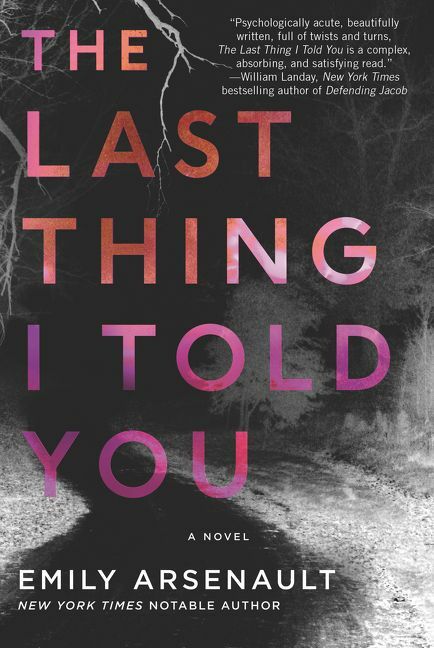 From the acclaimed author of The Evening Spider and The Broken Teaglass comes this psychological thriller about the murder of a psychologist in a quiet New England town and his former patient whose unreliable thread will keep readers guessing until the shocking end. But as Nadine and Henry head toward a confrontation, both will discover that the secrets of people’s hearts are rarely simple, and—even in the hidden depths of a psychologist’s files—rarely as they appear. 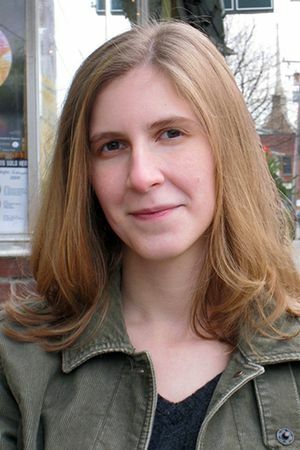 Emily Arsenault is also the author of The Broken Teaglass, In Search of the Rose Notes, Miss Me When I’m Gone, and What Strange Creatures. She lives in Shelburne Falls, Massachusetts, with her husband and daughter. Deb Crombie: Nadine is an unusual character. Why did you choose to start the book with her impulsive act of violence as a teenager? Would you say she’s an unreliable narrator? What was your inspiration for her character? Emily Arsenault: I’ve always been interested in adolescent impulsivity and the way our choices or behavior at that age can affect the rest of our lives. This is a theme I’ve touched on in earlier books, but I think I wasn’t yet ready, in those books, to carry this theme to as dark a place as it goes in The Last Thing I Told You. Nadine is troubled and has a sometimes twisted way of thinking about the people around her—particularly men. But I wouldn’t really say she’s unreliable. She’s aware that she did something disturbing, and that she doesn’t think like other people. But she doesn’t deny either of these things, and struggles to change herself. I wanted the book to be about that struggle as much as it is about the mystery of the dead therapist—perhaps more. DC: The book starts with a therapist found murdered in his office—and then therapy takes an important role in the novel. Did you know, when you began writing, that Nadine’s therapy sessions would be so pivotal to the plot and so significant to the development of her character? Is there a statement here about therapy or therapists? Do you consider the therapist himself to be a character in the book, beyond being the victim of the initial crime? EA: We are often suspicious of therapists—not just in real life, but particularly in suspense fiction. Ideally, we are supposed to think of therapists as skilled professionals who help us see ourselves clearly and solve our own problems. But I think they make juicy characters for suspense fiction because we also see them as keepers of secrets. Usually when we consider sharing a secret with someone, we are asking ourselves if that person is trustworthy. With a therapist it’s difficult to make that assessment because we don’t know them personally. We’re supposed to suspend our suspicions and cynicism to make the process work. This is an unnatural way of being for most people, I think—and makes for good suspense possibilities. The therapist in this book, Dr. Fabian, is dead on page one. But as the book goes back into the past, we get many glimpses of him through Nadine’s eyes. I thought it would be interesting for readers to assess for themselves whether Nadine is being honest with him, whether he is asking the right questions, whether they see him the same way Nadine does through the rare cracks in his professional demeanor. I really loved writing the therapy sessions. The dialogue and the dynamic in the therapy setting is so different from anywhere else in life. Especially with a teenage patient, who is very likely to approach this interaction differently than an adult would. DC: The book alternates between two narrations—the possibly disturbed Nadine, and the more steady Henry, who investigates the therapist’s death. Did you write them as they appear—switching back and forth between the two characters—or did you write one and then the other? Was it difficult to alternate between them? Did you find writing one more challenging than the other? EA: I wrote a great deal of Nadine’s part first. For Henry, I had to do a lot of research in terms of the logistics of how he’d investigate a case like this, particularly involving confidential medical records. And it is always a little more difficult for me to write a male narrator. Although he’s been through something horrific, I wanted to make him potentially more relatable than Nadine. It’s been interesting to me to see how different readers have focused on one character or the other. Reactions to this book have been vastly different depending on whether the reader views Nadine or Henry as the main character. I think it really depends on how sympathetic one is to Nadine despite her initial act of violence. DC: This book has several characters who encountered each other twenty years ago (in a few cases, as teenagers) and are now re-encountering each other under strange circumstances. Why did you choose to put your characters in this situation? EA: I think it’s intriguing how people fall into certain familiar dynamics when they interact with people from their past. Also, since “becoming someone else” is so important to Nadine, I wanted to put her back into her childhood setting and see how she fared. DC: This book has a different tone from your earlier books. Was this a calculated departure or did your characters simply take you in a different direction this time? EA: Not really. I’ve always wanted to write a character like Nadine, but she never fit into the types premises I’d set up in earlier books. I didn’t sit down to write and say, I’m going to do something really different this time. Rather, I sat down with a pretty clear picture in my head of the character Nadine, and took her in the direction I felt she needed to go. The result was something a little darker and maybe a little less “quirky” than what I usually write.